57 deer targets were distributed to artists in the community. (Deer are everywhere in northestern Pennsylvania). 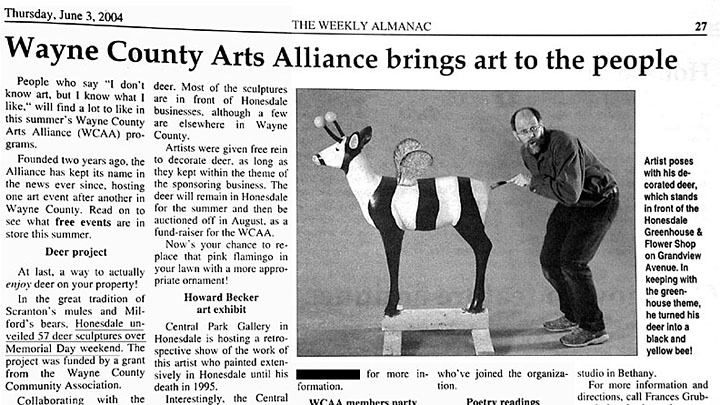 The artists were to paint the deer in creative ways to be displayed all summer long on Main Street in Honesdale, PA. Later they were publicly auctioned off to the the higest bidder. 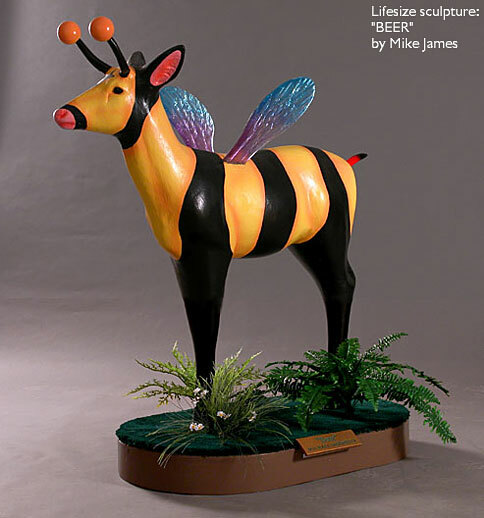 Rather than just paint his deer wildly, Mike created a whimsical combination Deer and Bee he comically titled, "Beer". A father bought it for his daughter who fell in love with it. 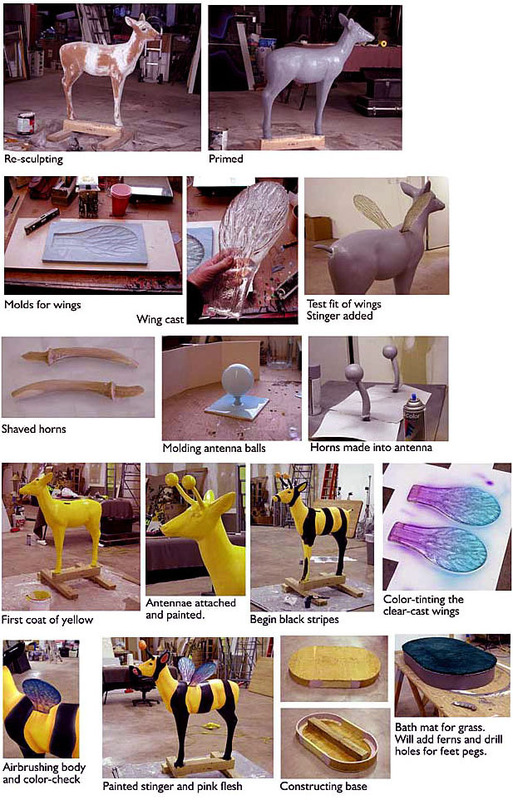 Below is a newspaper annoncement of the upcoming event (that features Mike) and the creation process of Mike's deer.